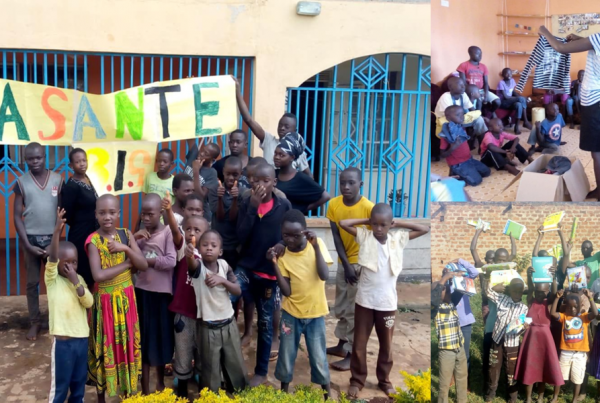 Again we had a fantastic time on our 3rd Day of Care. 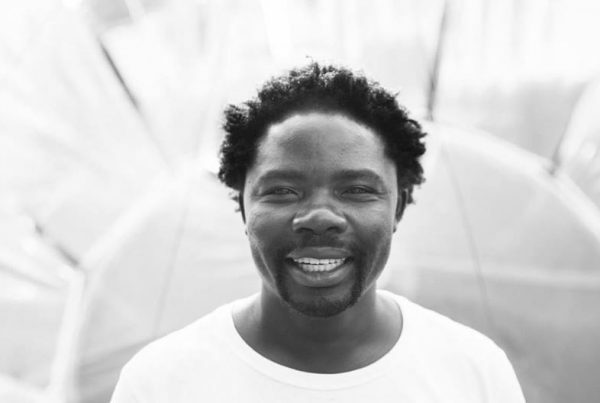 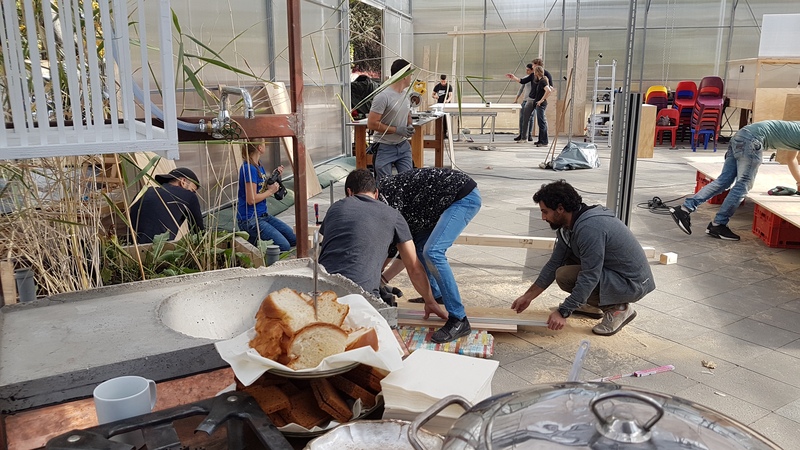 The project gets around and more and more people like to participate. 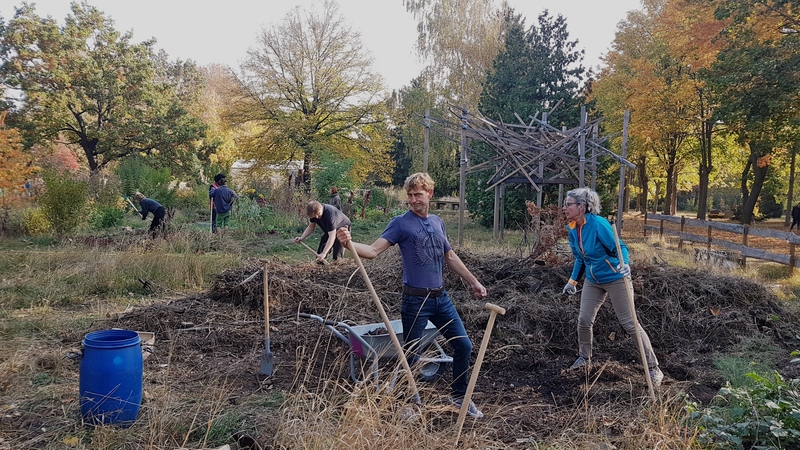 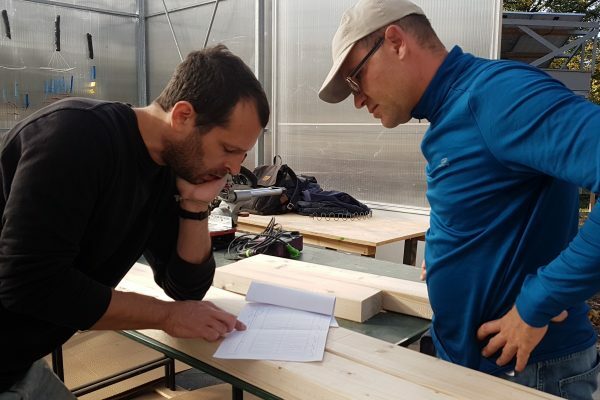 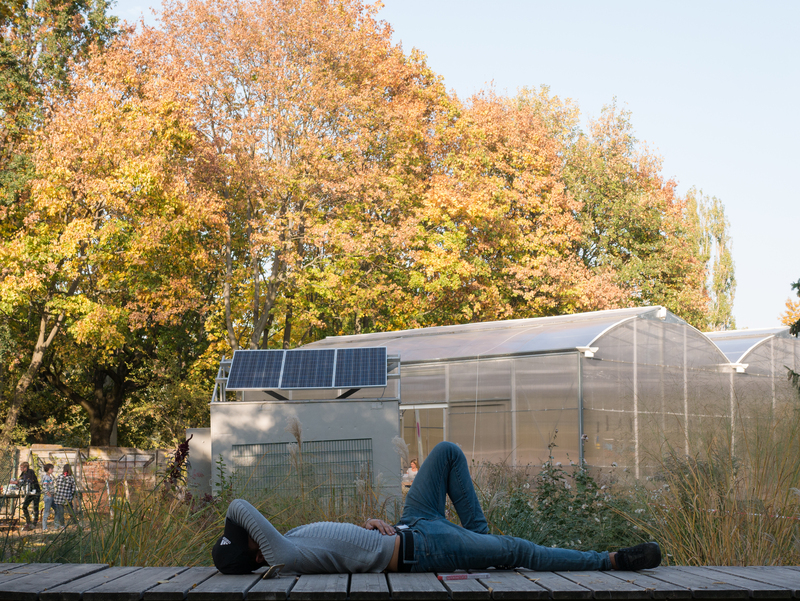 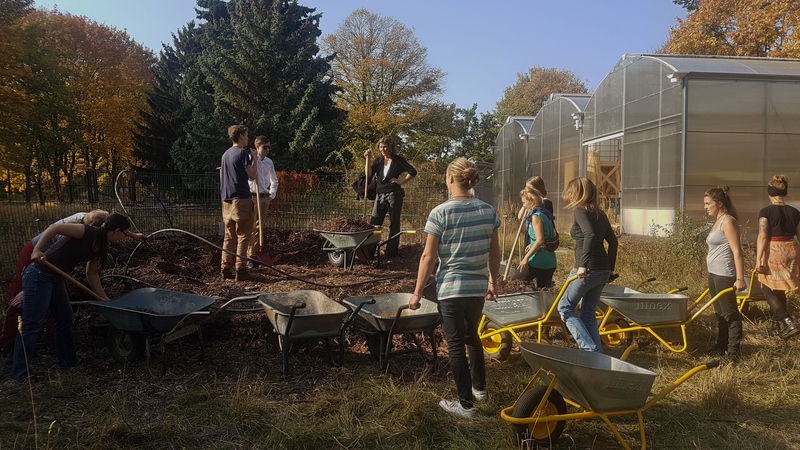 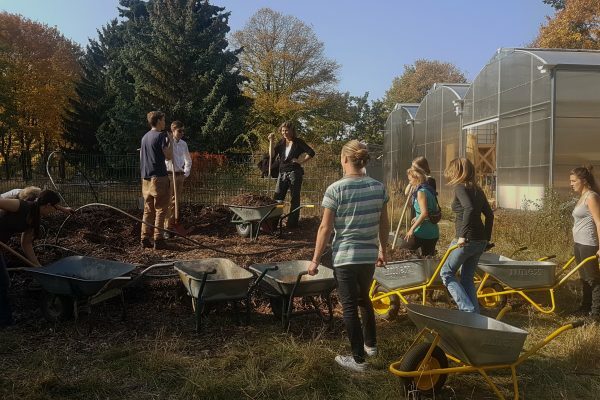 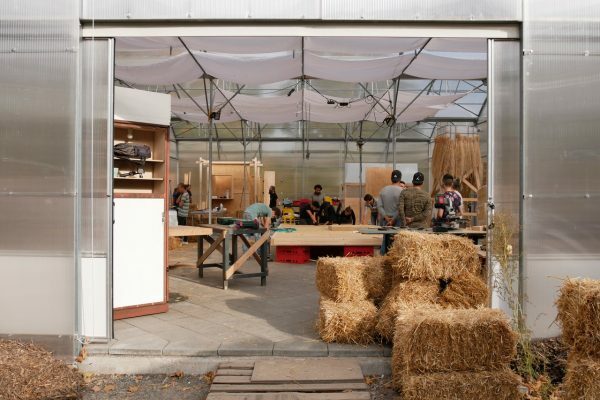 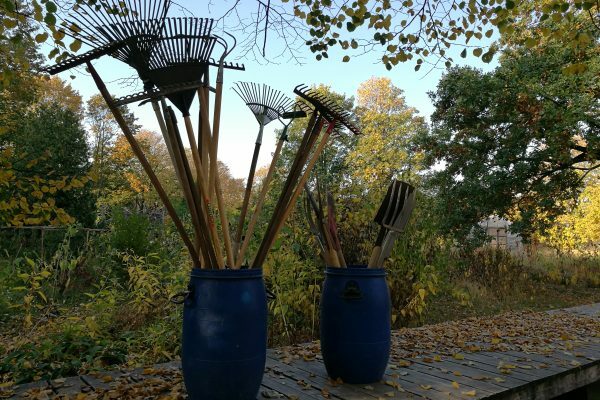 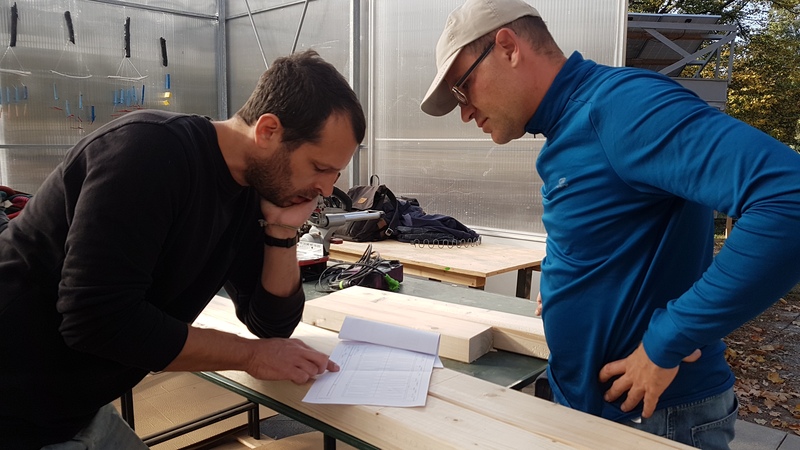 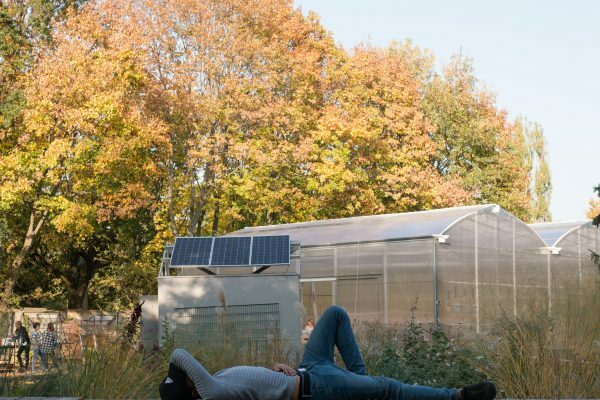 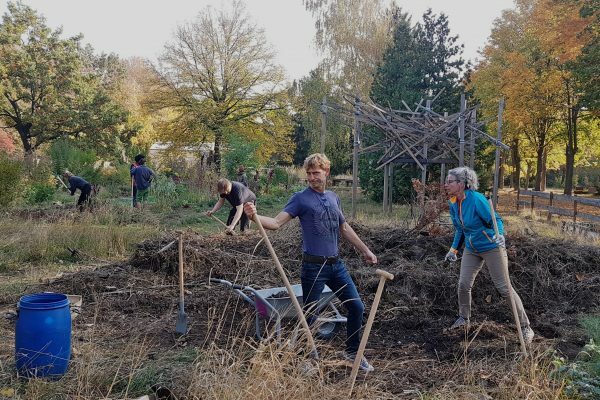 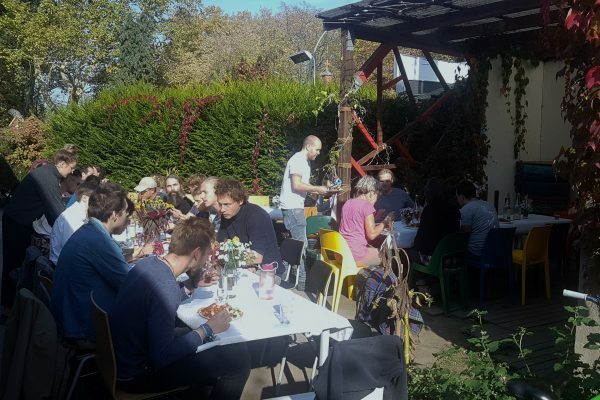 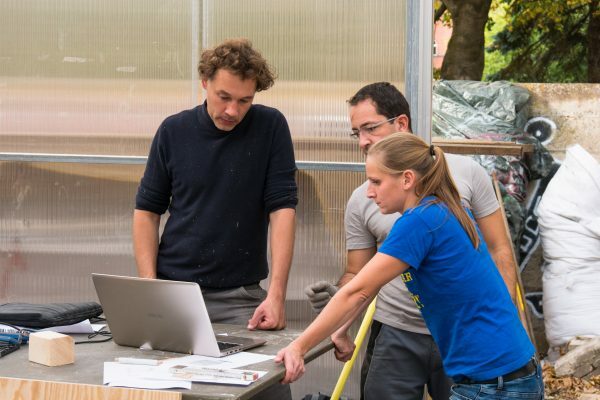 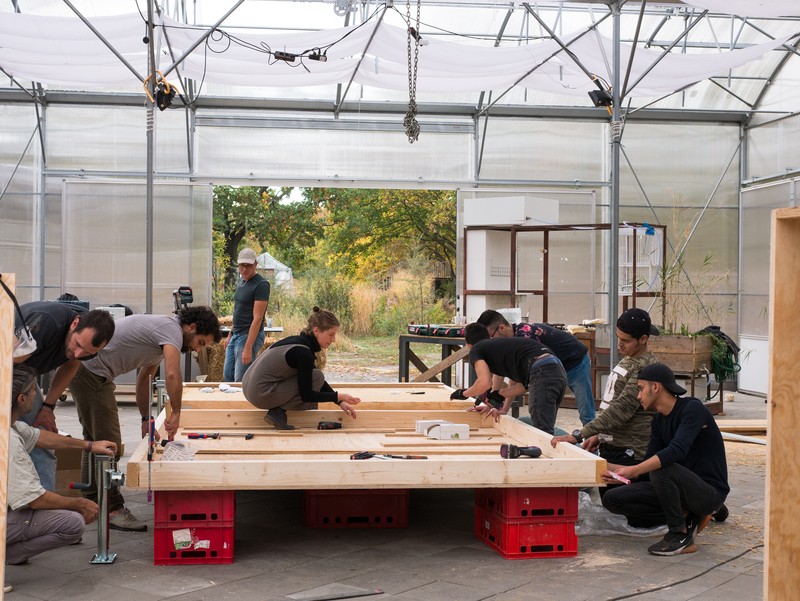 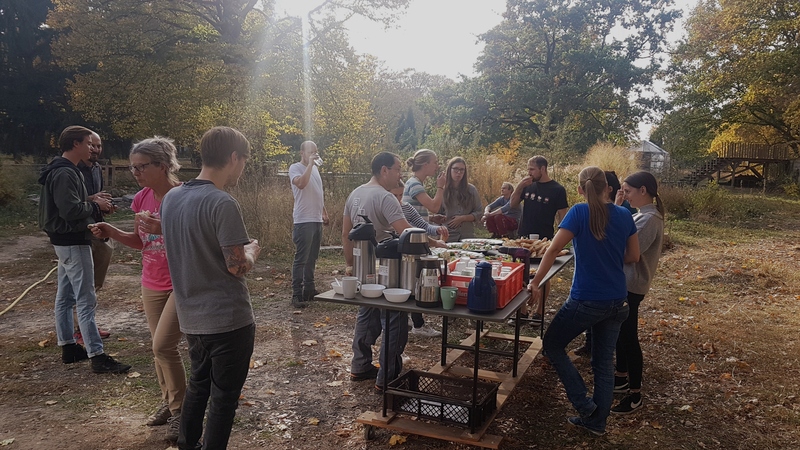 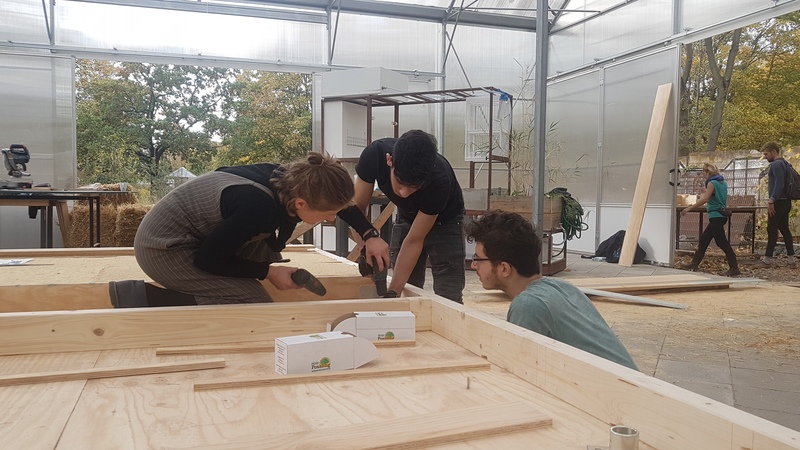 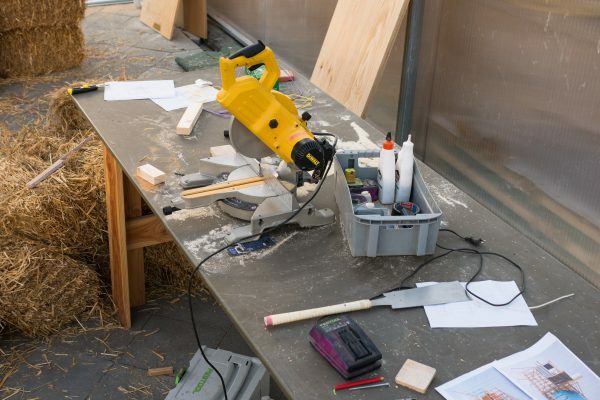 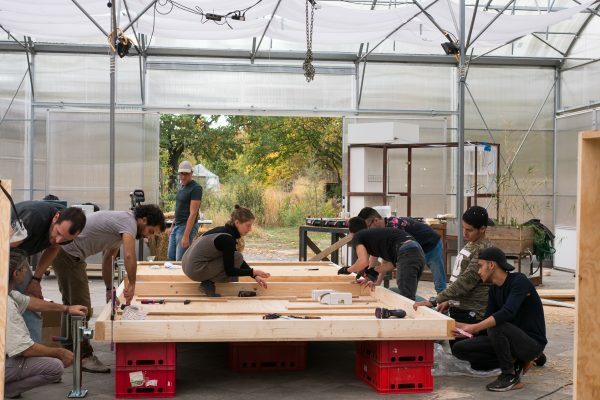 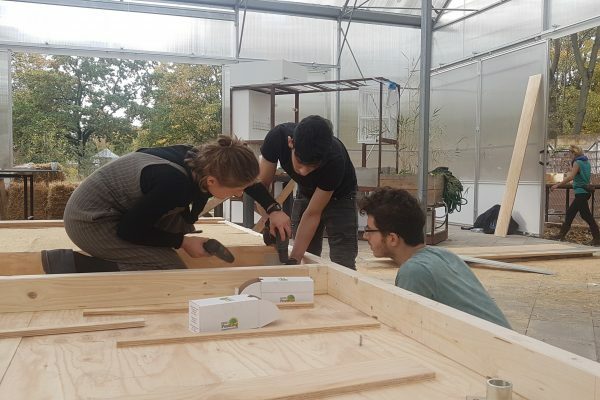 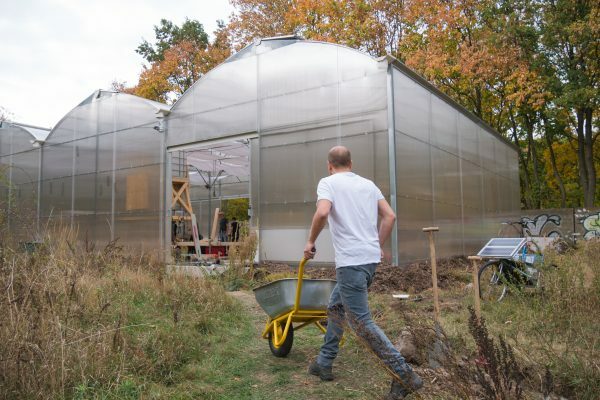 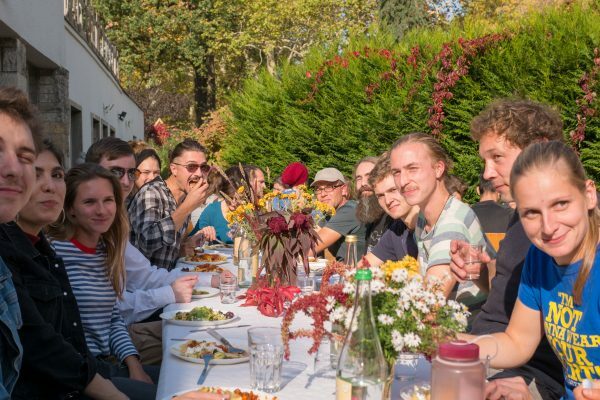 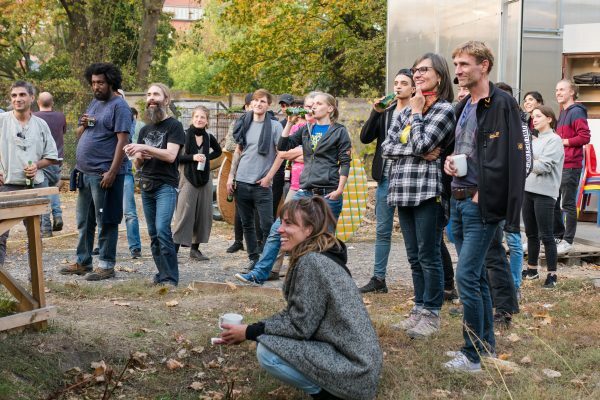 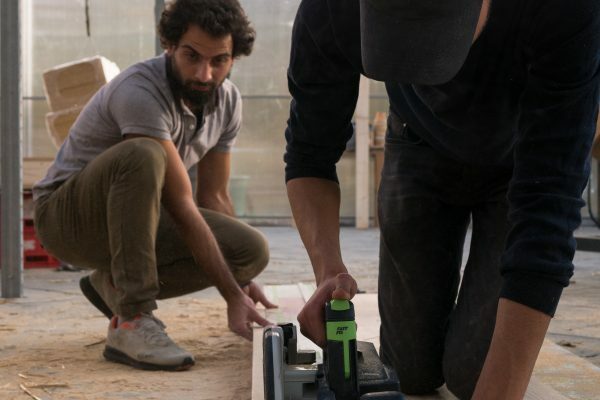 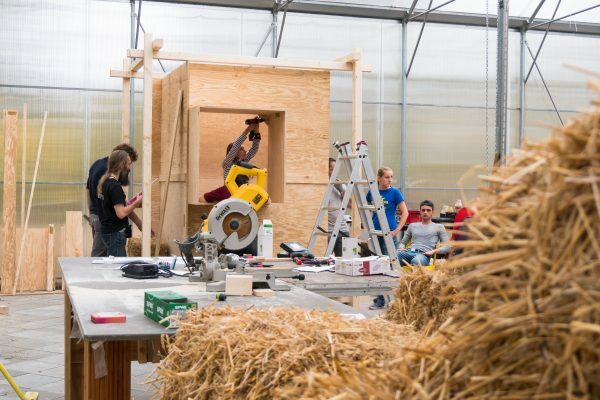 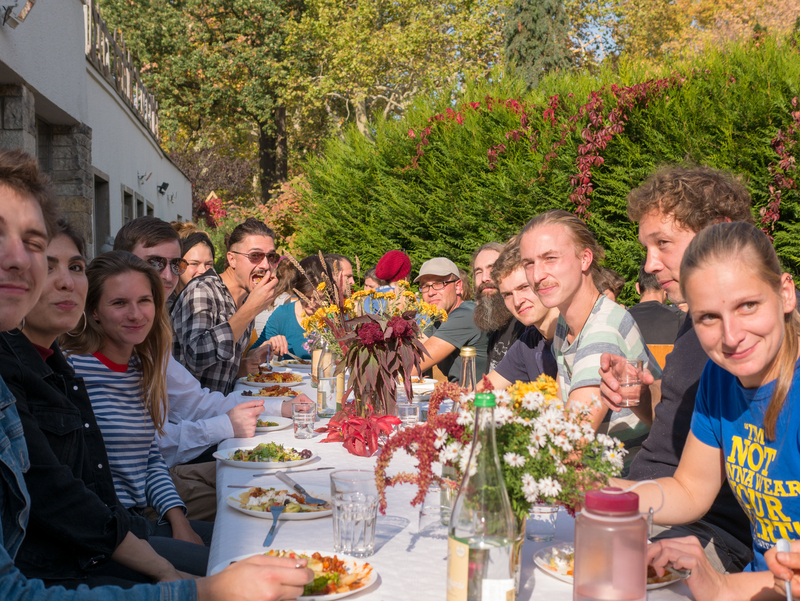 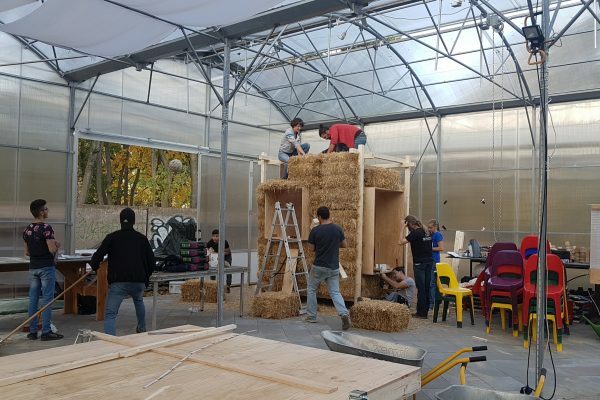 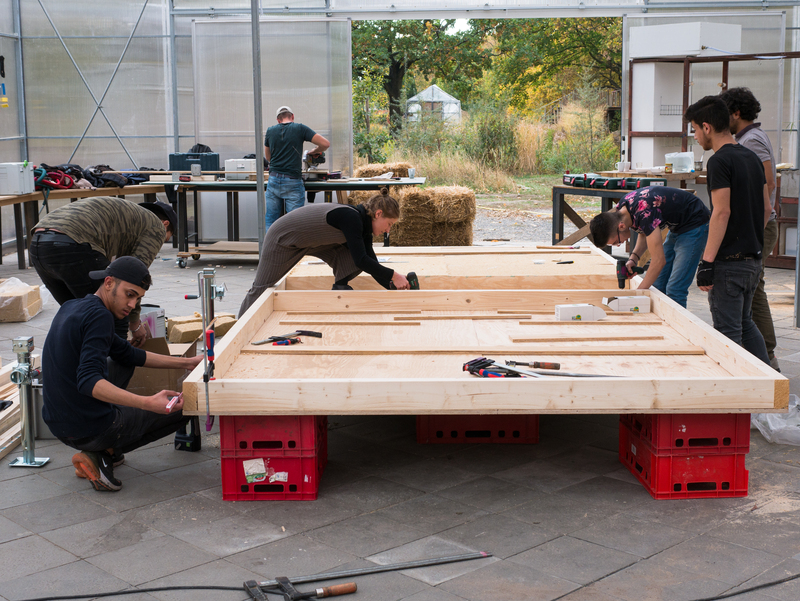 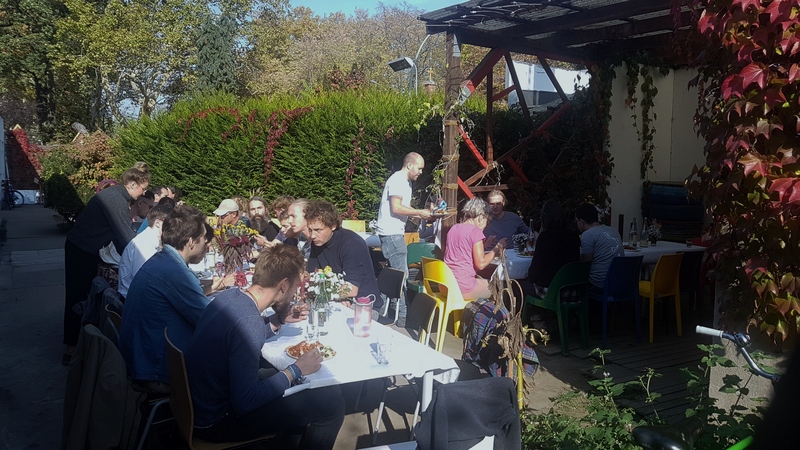 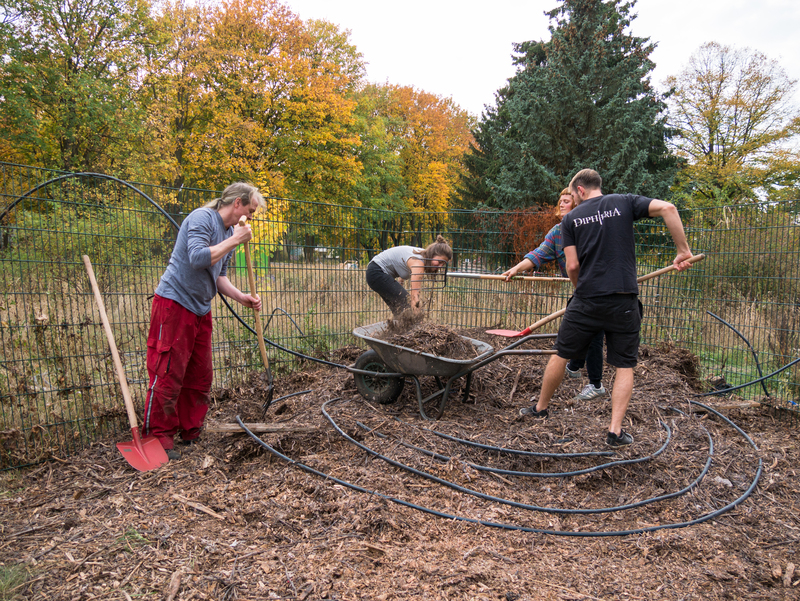 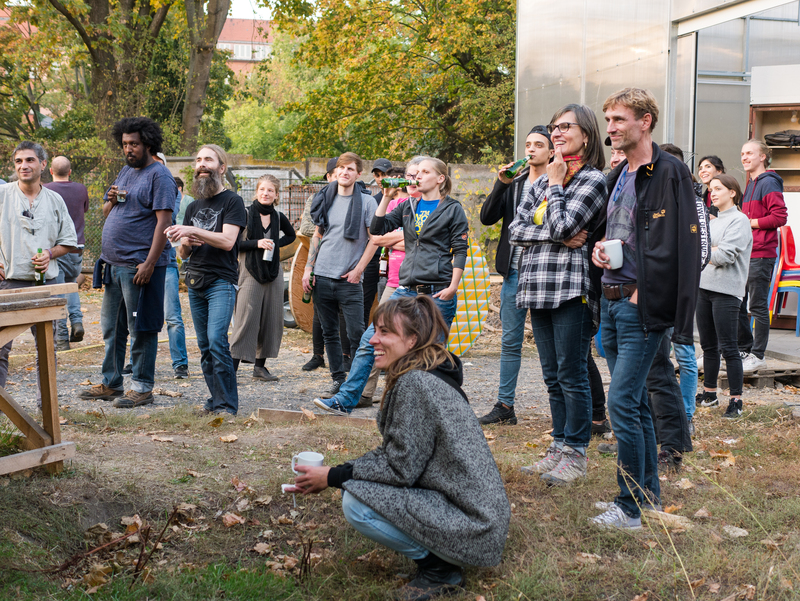 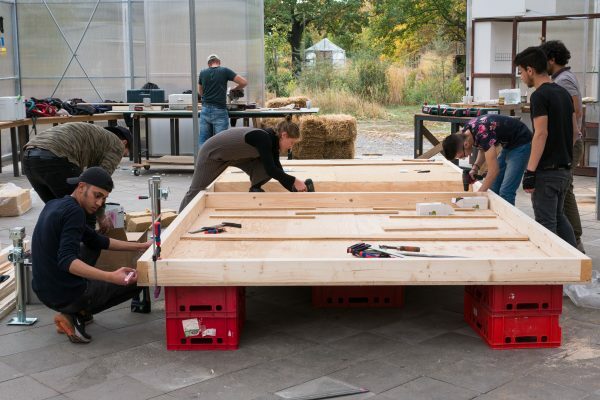 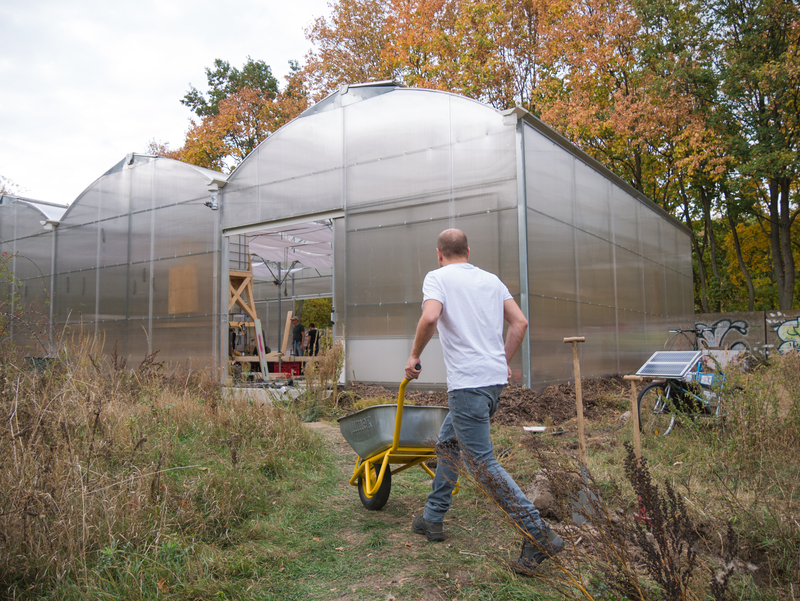 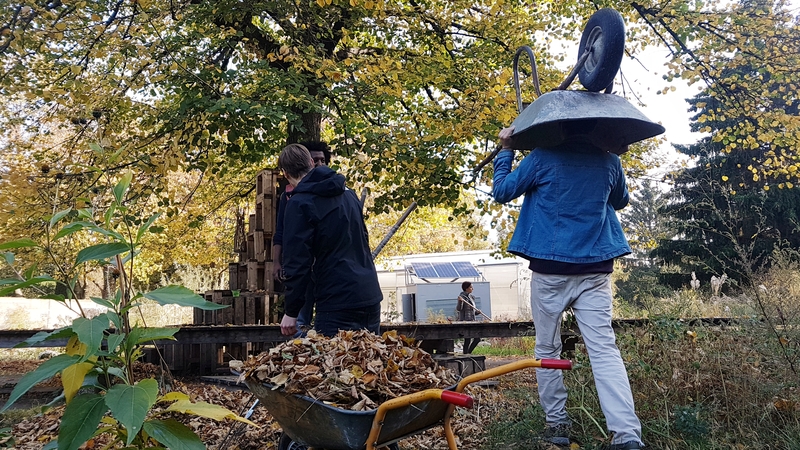 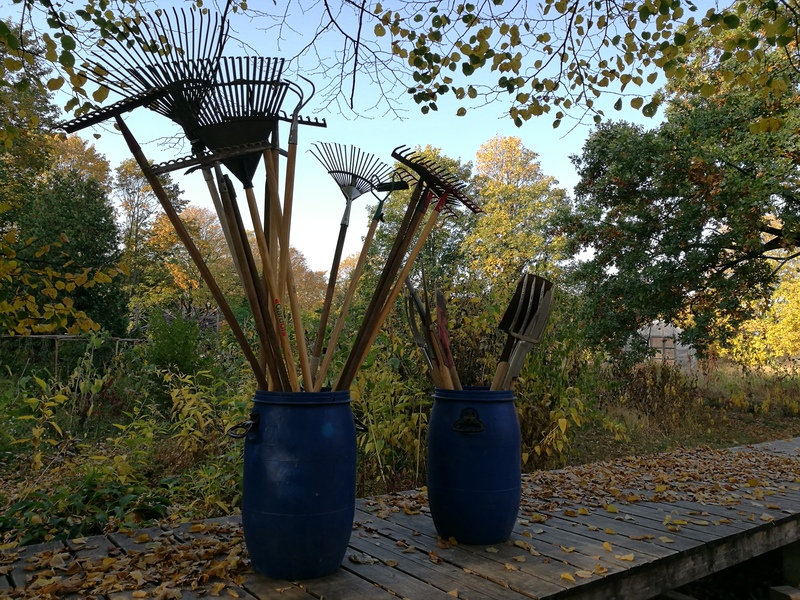 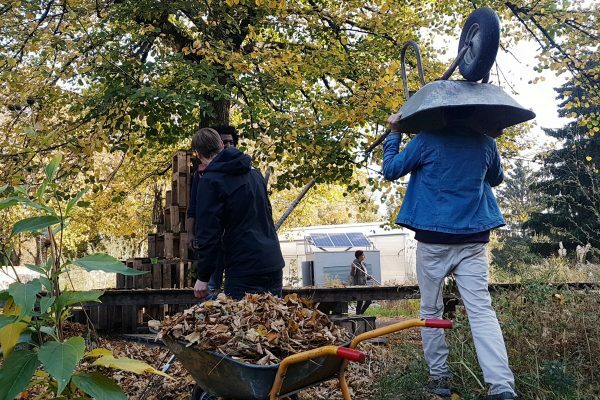 This time we had about 50 people on 5 different „building-sites“, working on LowTech-Solutions for the Coop-Campus and giving a strong hand in the Campus-Garden. 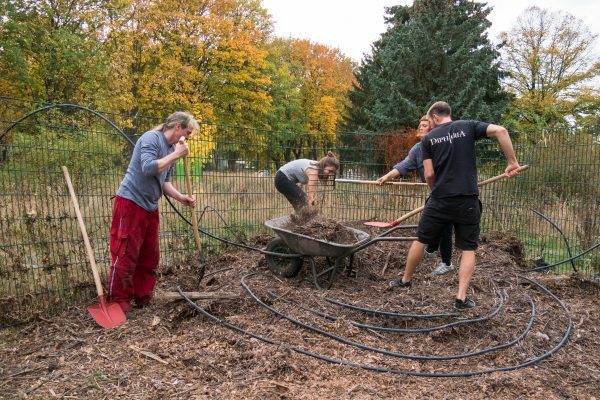 With Prinzessinnengärten the Biomeiler got a reset and refill. 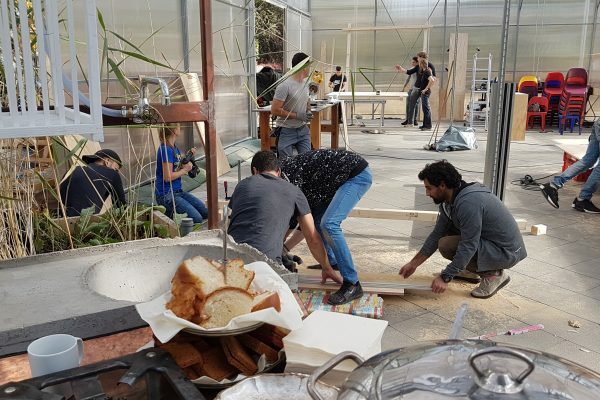 It’s already warming up part of the Greenhouse to grow plants in springtime. 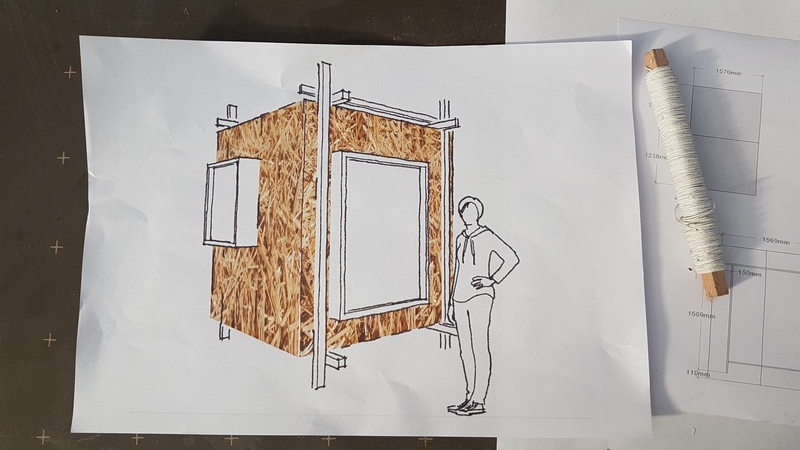 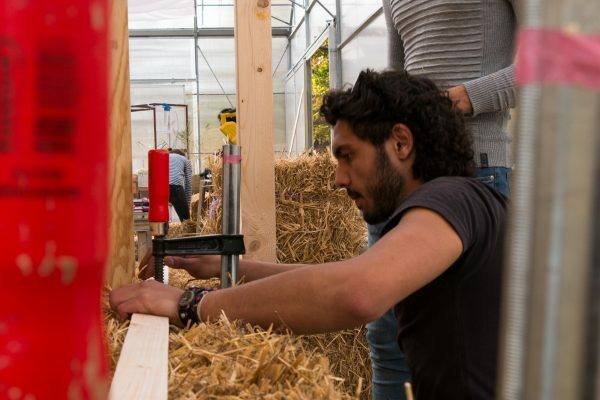 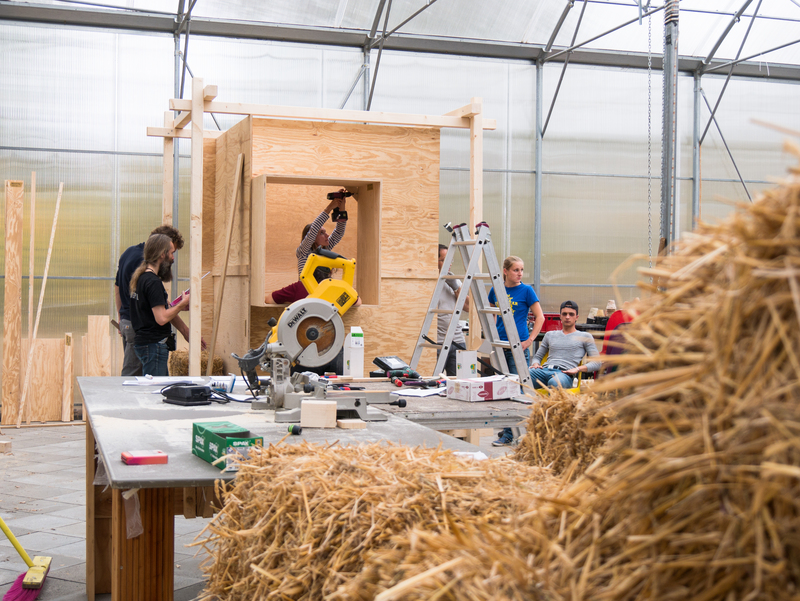 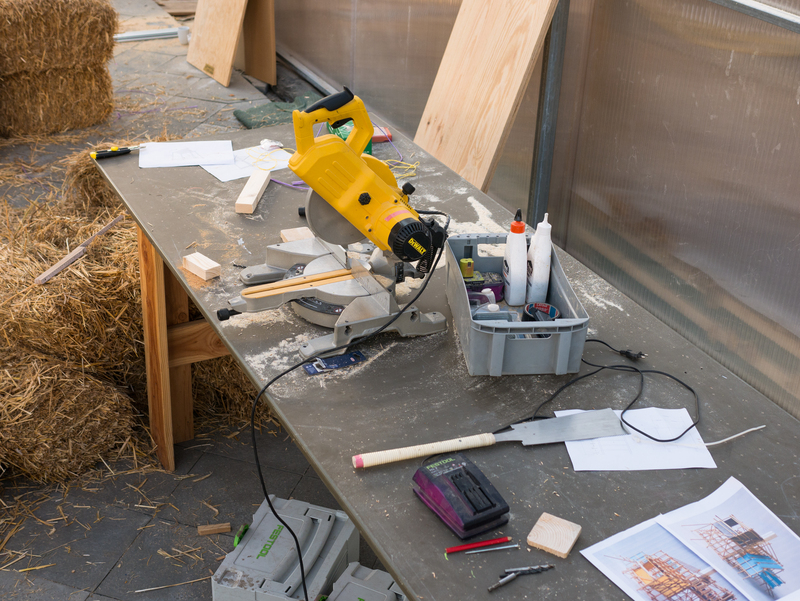 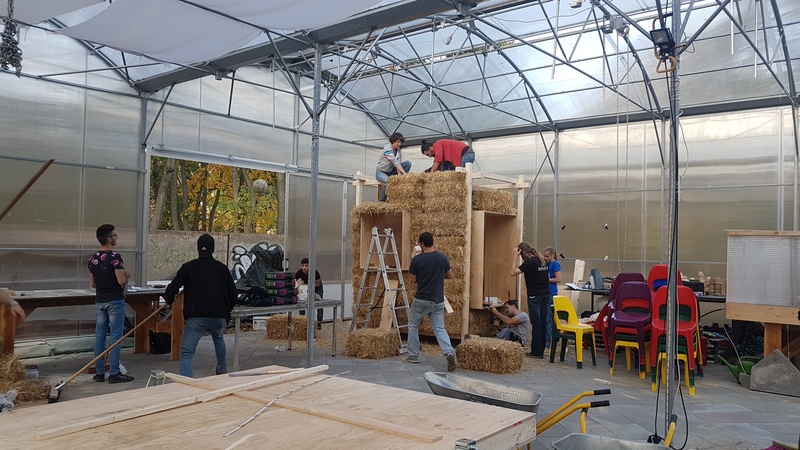 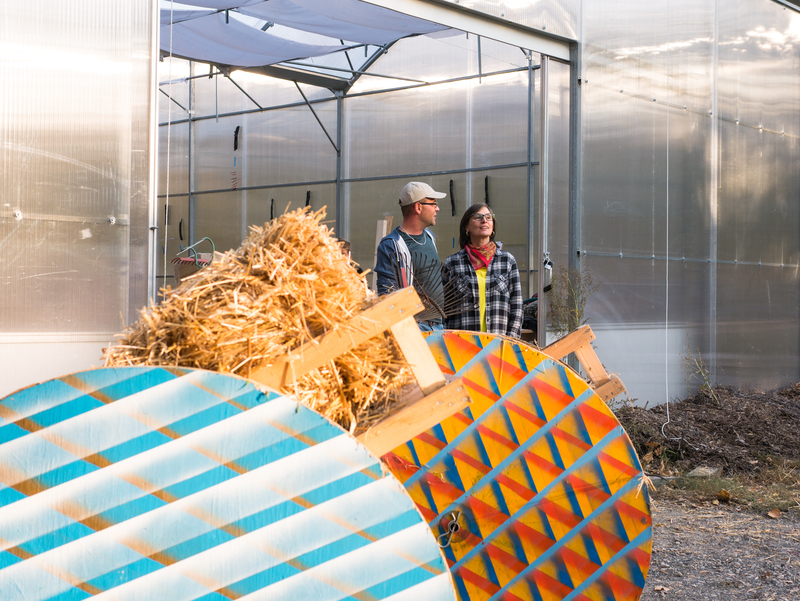 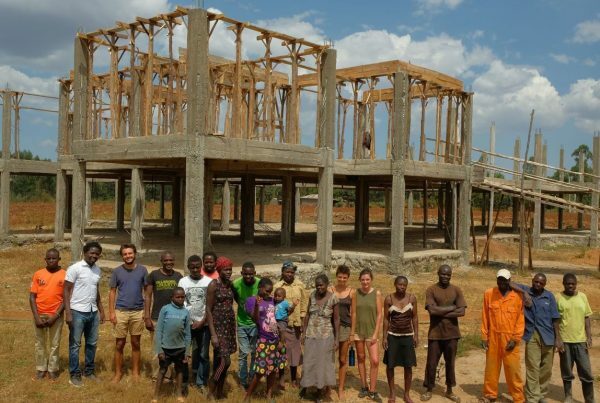 Now we built a small house-in-house from straw and wood, which will also be heated by the Biomeiler. 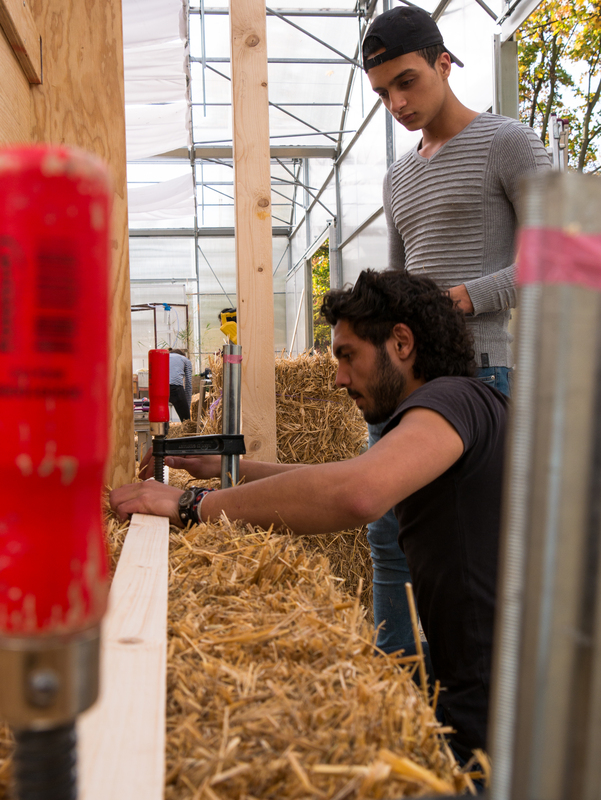 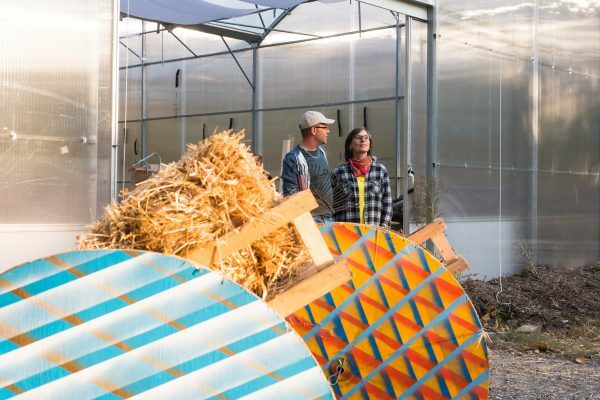 This straw-room will contain two basic work-spaces and we will test whether one can survive a Berlin-Winter with this LowTech-heating system. 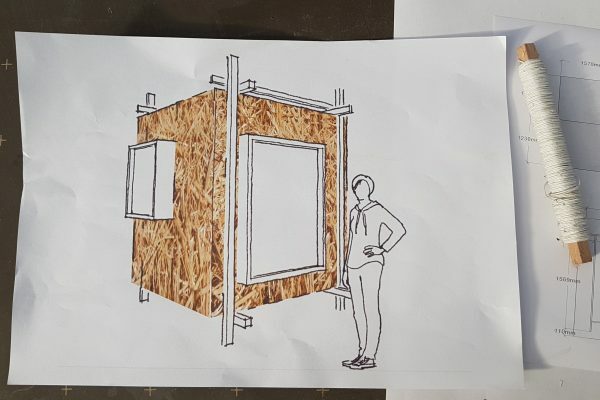 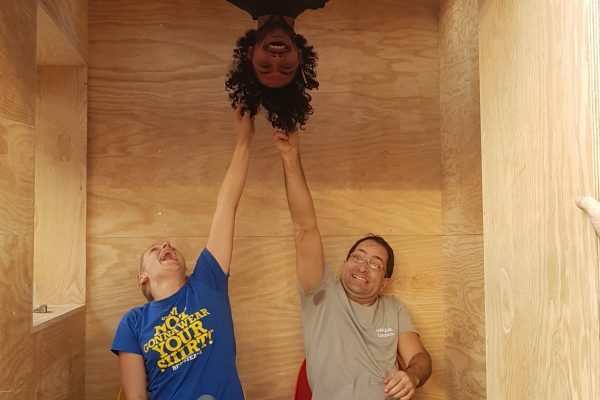 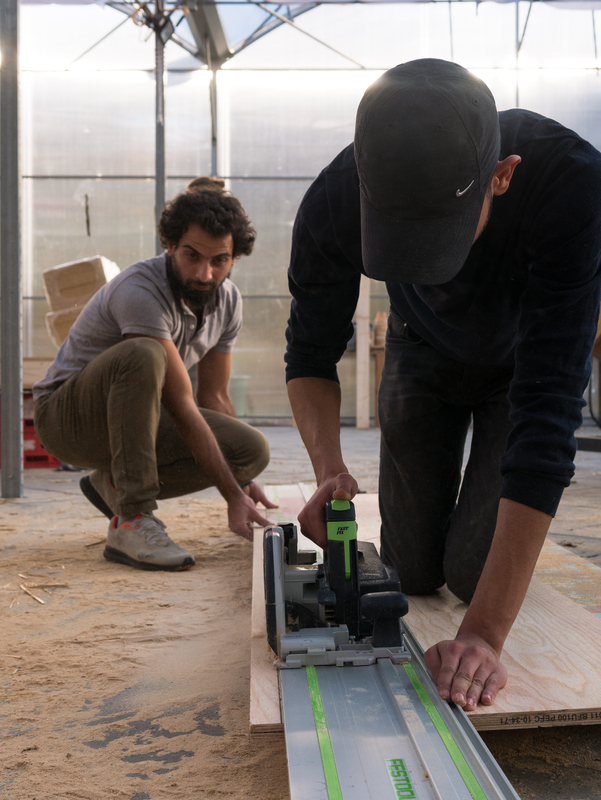 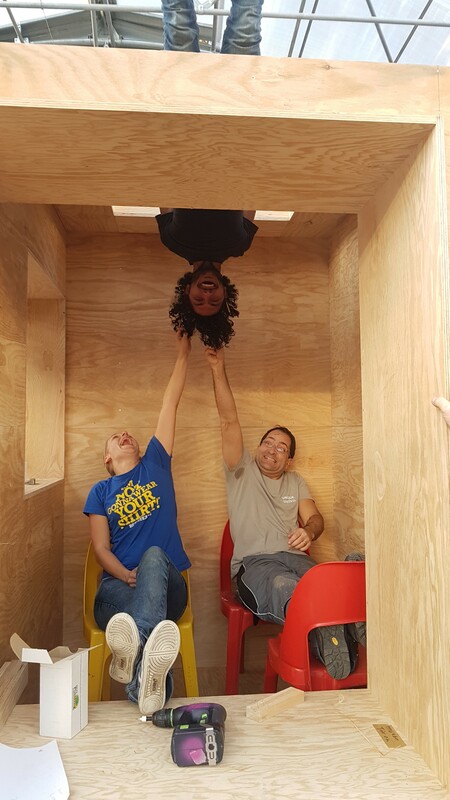 For the just started Robin Hut-Project we built the base of their future mobile studio. 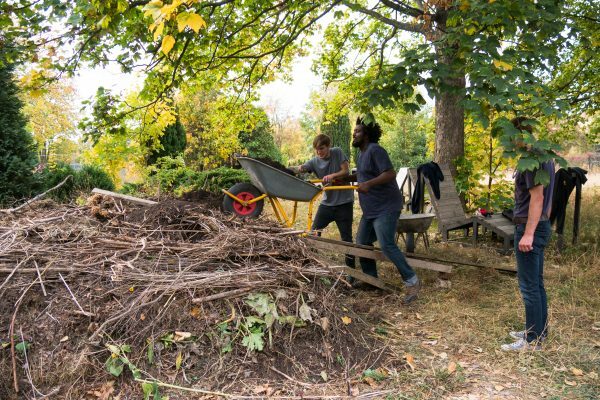 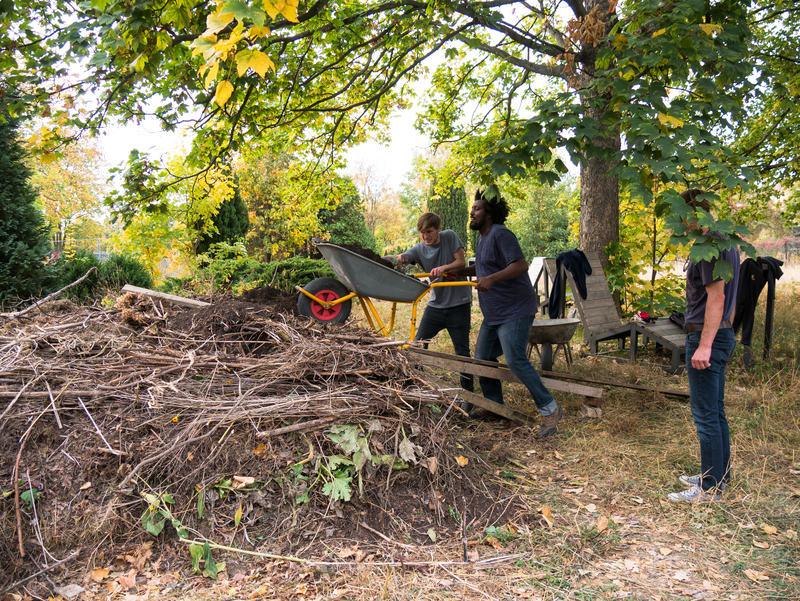 An ambitious Garden-Crew moved the compost and created new beds. 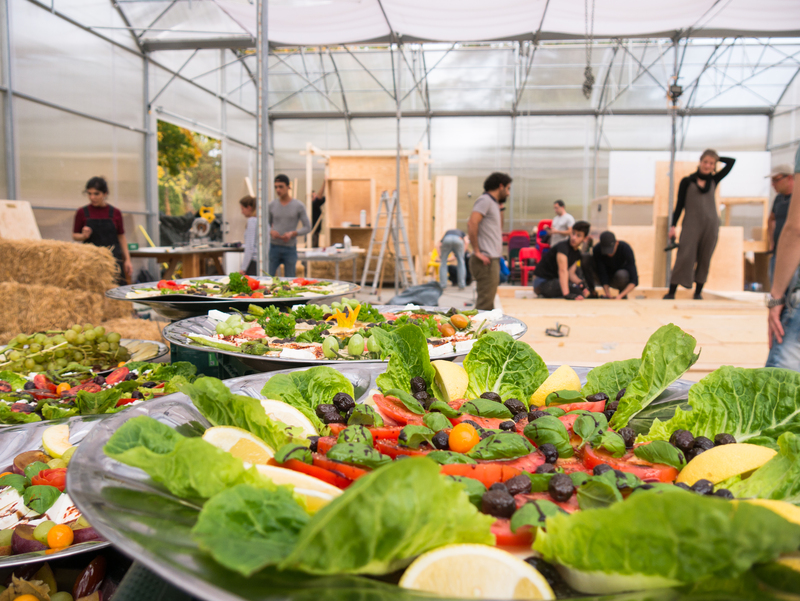 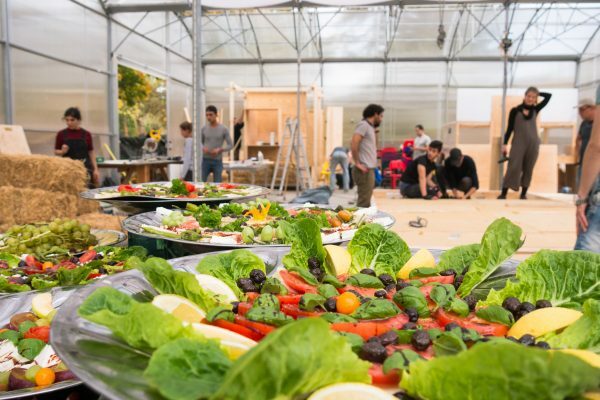 A creative Catering-Team surprised us with wonderful food all day long. 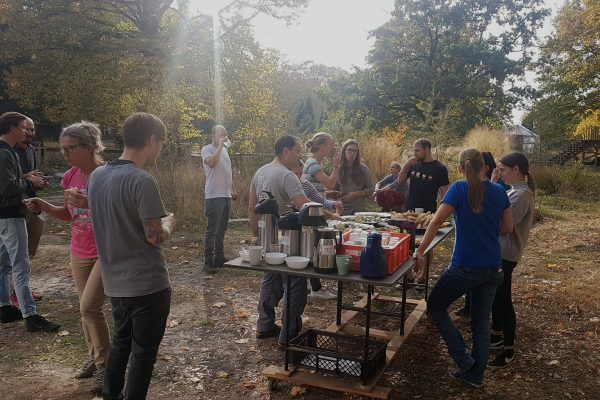 People from various backgrounds encountered through working together in mixed teams. 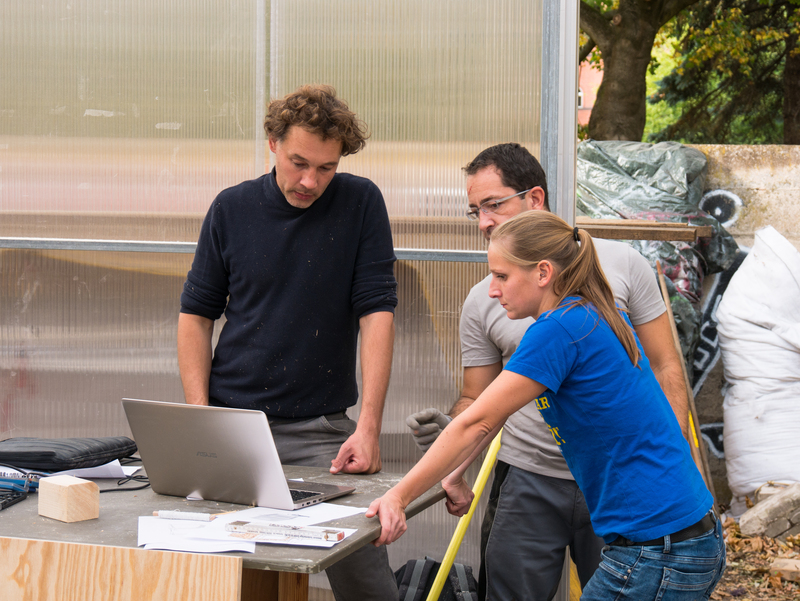 Stephan Neidert (Projectmanager of Coop Campus) for great cooperation.